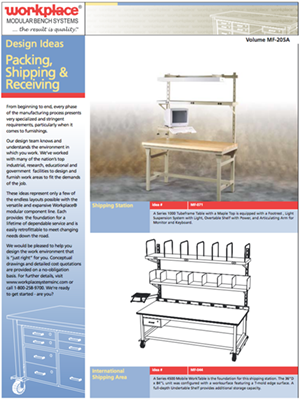 View and download workstation Design Idea brochures describing what others have used with great success. Whether it’s for manufacturing, assembly, laboratory, education or government applications, we’ve probably designed it already. It’s easy to visualize what workstation configurations and accessories will work best for your application by exploring our design ideas. Just click on any of the links below to download and save the brochure as a pdf file. Remember that every idea is just a starting point with your Design Specialist. 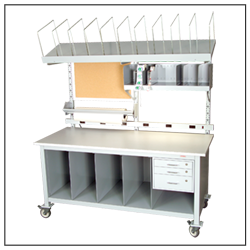 He or she will work with you to develop the exact workstation configuration you need for your task or job function.